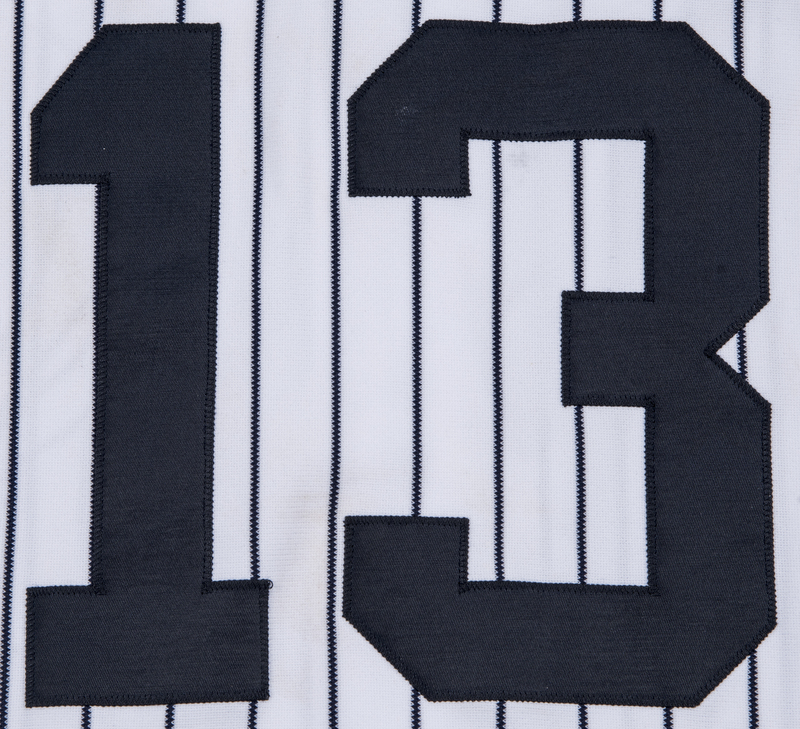 Alex Rodriguez hit the 599th home run of his legendary MLB career on July 22nd, 2010 during the New York Yankees 10-4 home victory over the Kansas City Royals at Yankee Stadium. Rodriguez, who hit his 500th career home run against the Royals three years prior, took an 0-2 offering from Royals reliever Rob Tejada deep in the bottom of the seventh inning to notch his 599th career longball. Rodriguez finished the game 3-5 with four RBI and two doubles. The Westminster High School graduate reached 600 home runs later in the season against the Toronto Blue Jays, becoming only the seventh member of the vaunted 600 Home Run Club and its youngest-ever entrant at the age of 35. Rodriguez finished the 2010 season with 30 home runs and 125 RBI, hitting .270 and earning his 13th career All-Star selection. This offered Yankees home jersey is a pinstriped button-down, with the Yankees interlocking “NY” logo sewn on the left chest in navy tackle twill. 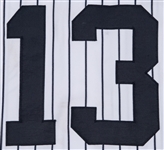 Rodriguez’s number “13” is sewn on the back of the jersey in the same fashion. 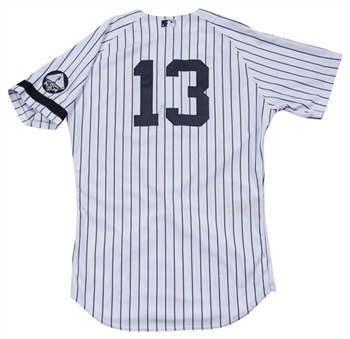 A memorial patch for George Steinbrenner is sewn on the jersey above the “NY”, and a memorial patch for Bob Sheppard is sewn on the left sleeve above a black memorial armband for Ralph Houk. 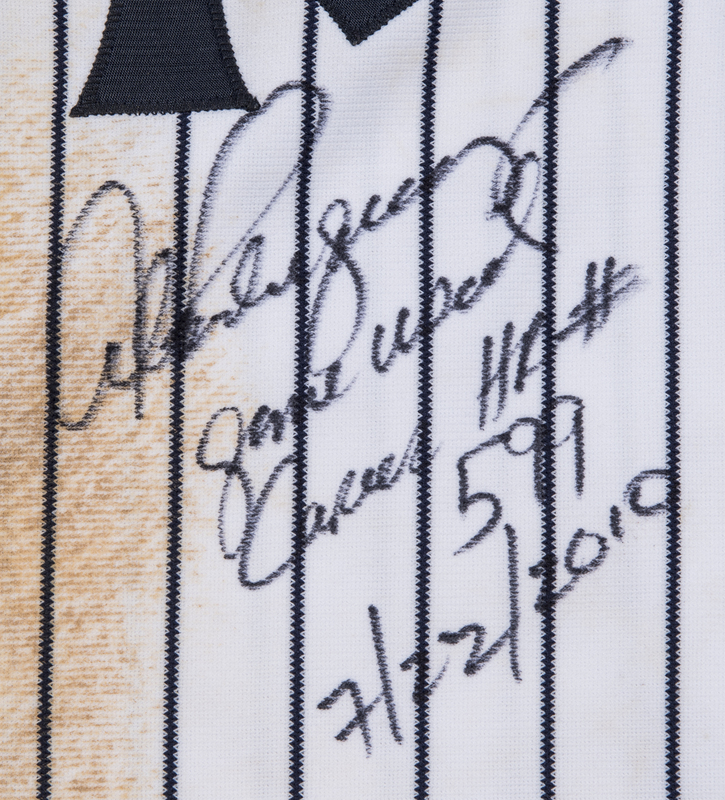 The July 22nd game was the first day the Yankees wore the Houk armband after the legendary skipper passed away on the 21st. 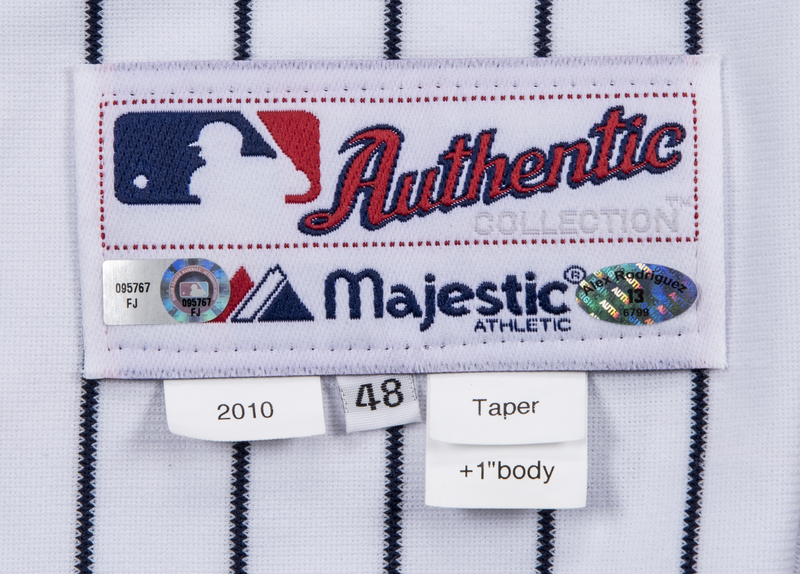 A MLB logo patch is sewn on the back outside collar. 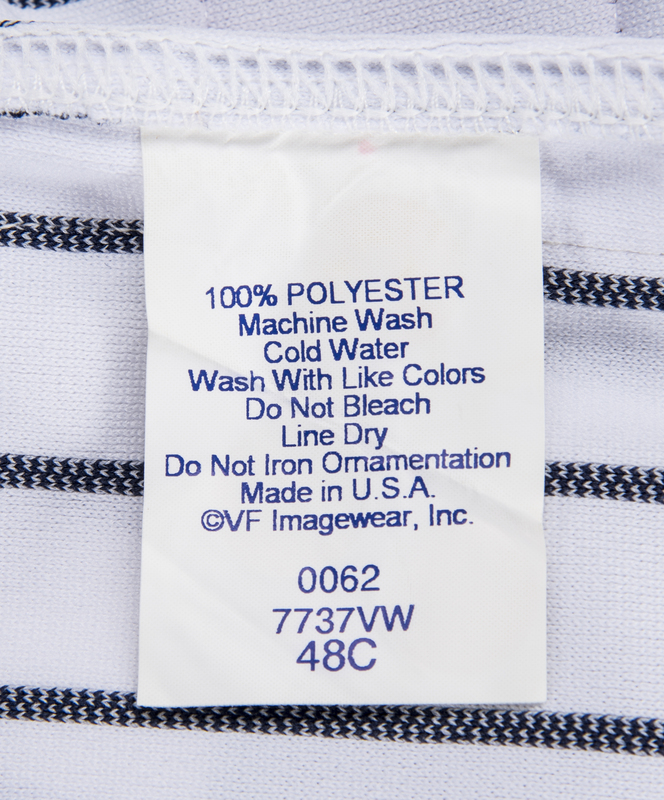 A Majestic tag with attached “2010”, size “48”, “Taper”, and “+1[inch] Body” flags is sewn on the front left tail. 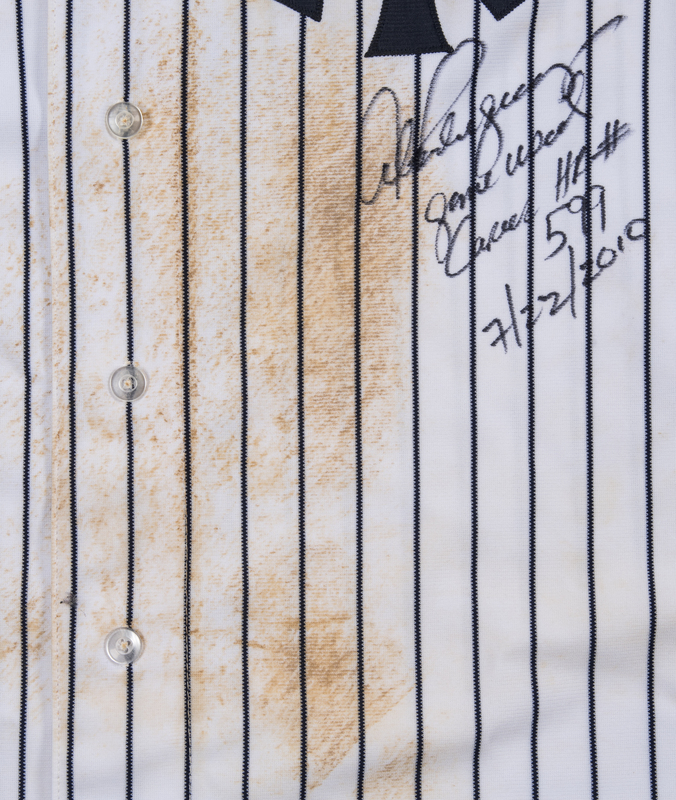 Rodriguez has signed the left chest of this jersey in black marker, inscribing “Game Used Career HR #599 7/22/10”. 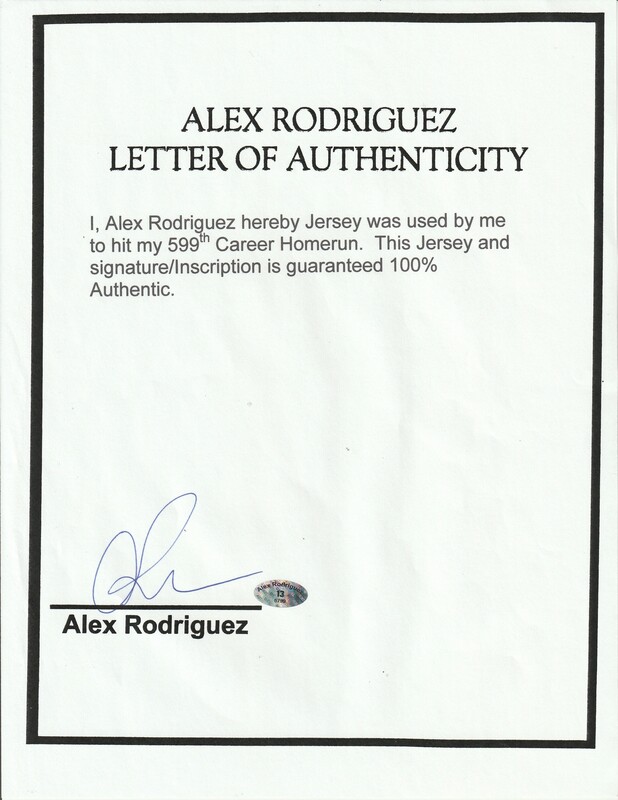 This jersey comes with a MLB Authenticated hologram (FJ 095767) and a LOA signed by Alex Rodriguez himself.